Earlier this month, Ukraine’s Central Election Commission began testing a new NEM-based blockchain voting platform to record fair, transparent and anonymous voting for its populace. This would enable the voting to be recorded on a truly decentralized blockchain, which could strengthen Ukraine’s citizen’s faith in their democratic elections. This is a much-needed shift for the economically-struggling country that is notorious for its corruption and bribery, as well as its ongoing civil war in Donbass. Granted, this is a state not a country, but the ramifications of this one if it turns out to be successful could revolutionize the way in which overseas voters are able to participate in a local election; via a mobile dApp. However, at this stage, the program is only open to those individuals who are currently conscripted in the Army, as well as other governmental employees who are stationed overseas. Even more notable is the fact that an official governmental body will be relying on a private company, Voatz, to be responsible for distributing the necessary technology. To my mind, the likely reasons why the state is choosing to limit the type of individuals who can participate is due to the fact that the blockchain voting platform has only been tested on a small scale and may have some as yet undetected bugs in the protocol that could make it susceptible to hacking attempts. However, Voatz is built on HyperLedger’s blockchain, so it is part of a decentralized network that is large enough to hopefully prevent 51% attacks. With that said, Voatz seems to be aware of the risks, and even mentions a bug-finding bounty-program scheduled for developers on its website. In a recent announcement, Kenya’s Electoral Commission stated that it plans to apply blockchain technology to their next elections. This comes in response to over two decades worth of allegations of election-rigging and the resultant civil unrest following almost every election. While it might seem like a major step towards regaining public trust, the truth is that it could also be a desperate attempt by the government to stem another possible crisis such as that which followed the 1991 elections, leaving over 1,000 people dead and 600,000 people displaced. I say desperate, because it is evident that there is a far deeper problem that needs to be addressed within the citizens of the country; after all numbers of that magnitude indicate a country divided, with the majority oppressing the minority. If not, there is no way that a such a huge number of people could be affected by such unfortunately typical corruption. 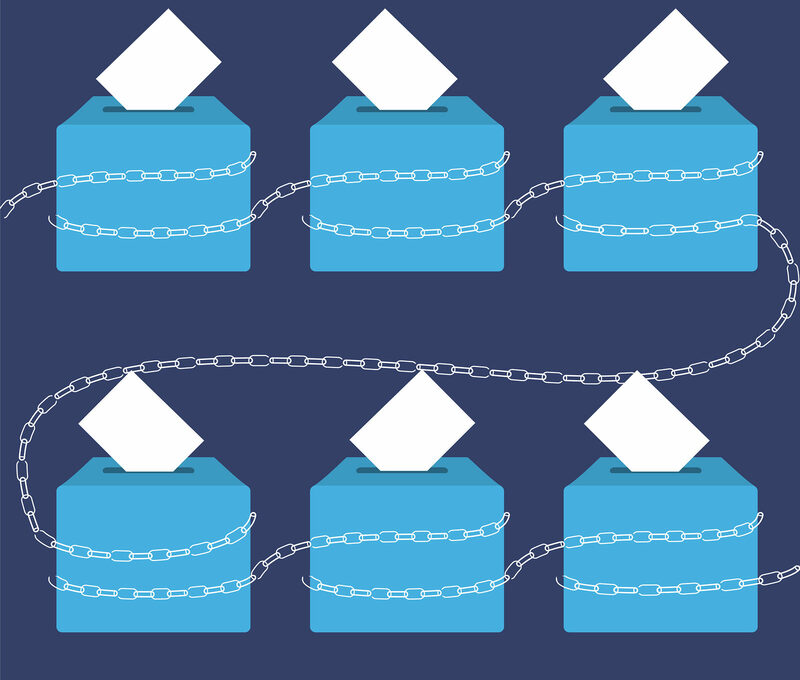 A further concern is whether this proposed blockchain voting platform will be truly decentralized, or whether it will be operated by the government. In the case of the latter, such a system would be no more reliable that previous voting structures, as there would be nothing to prevent the government from using its dominance to edit the contents of the blockchain. This seems a likely outcome give the fact that the government is behind the Kenyan Blockchain Association that is set to design the necessary infrastructure. However, if they adopt former, it could indicate that the Kenyan government is finally waking up to the desperate need for social change and a shift away from the existing corruption to further improve their economic standing.